Last month Venezuela increased the price of gas 6,000 percent, the first time the country has raised fuel prices in two decades. But some observers say the price hike didn’t go far enough. And they’re right. Venezuela will still have the lowest gas prices in the world. When gasoline costs less than water or beer, you know its pricing is still not right. Giving away cheap gas is good short-term politics, but terrible long-term economics. Moreover, fossil fuel subsidies make it cheaper to use energy — which means more air pollution, more CO2, and more cars congesting the streets. 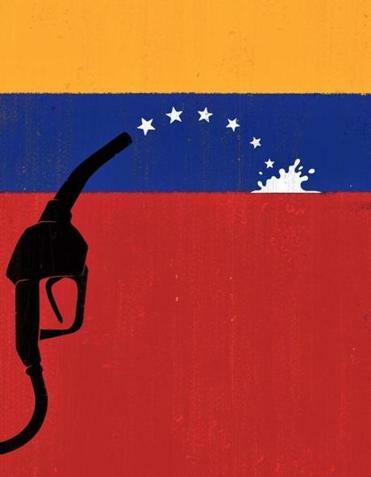 Over recent years, the Venezuelan government has footed more than 90 percent of the bill for its country’s fossil fuel use, meaning that citizens have had to pay only about 10 cents for a gallon of gas. But that cheap fuel has been hugely expensive. The just-announced change will save the government $800 million a year, but that’s just a fraction of $30 billion the state spends annually on energy subsidies. The subsidies have siphoned funding away from other areas where the country’s people could have desperately used it. That $30 billion could be much better spent on smarter priorities, such as health and education programs. Energy subsidies are a bad idea anywhere, but they’re especially costly for poor countries. Rich and middle-class citizens are more likely to own cars than the poor, and to use more electricity. So the affluent end up benefiting most from the handouts. One estimate from Harvard University showed that the richest Venezuelans benefitted over seven times more from the subsidies than did the poorest. The socialist president raised gas prices and devalued one of the country’s multiple exchange rates. Eventually, the price of subsidies has to be paid, hurting the economy. That’s happening in Venezuela, where last year the economy shrank by 10 percent, inflation skyrocketed to triple digits, and the nation entered its worst recession in more than a decade. So yes, subsidizing fossil fuels may make your constituents happy in the short run, but it is wasteful and polluting in the long run. With oil prices at their lowest levels in more than a decade, however, governments worldwide have a huge opportunity. Now is the perfect time to scale back subsidies on fossil fuels. Actually, Venezuela is not alone in subsidizing fossil fuels — countries around the world spend nearly $500 billion on fossil fuel subsidies each year, according to the International Energy Agency. And, surprisingly, none of the top offenders are from the West. Oil-rich Iran and Saudi Arabia spend around $70 billion annually, defraying about 80 percent of energy costs from their citizens. Russia and India each spend about $40 billion a year on fuel subsidies, while Indonesia, Egypt, Algeria, and China have each spent around $20-$30 billion in recent years. The tragedy of fuel subsidies is that the half-a-trillion dollars that nations around the globe devote to them could be much better used, as research directed by my organization, the Copenhagen Consensus, shows. The UN has adopted a wide range of developmental targets to improve conditions for the world’s poorest people by 2030. We asked top economists worldwide, including several Nobel laureates, to analyze the social, economic, and environmental costs and benefits of all these targets. In trying to figure out where each dollar of spending could do the most good, we’ve found that doing away with fossil fuel subsidies would be one of the most beneficial actions developing countries could take. Our research, by economists Isabel Galiana and Amy Sopinka, finds that every dollar diverted away from energy subsidies would bring $15 in benefits. The billions of dollars governments would save could benefit hundreds of millions of people by improving health, nutrition, and education instead, all while slashing CO2 emissions, pollution, and congestion. In light of current low oil prices, subsidies should be reduced, because consumer prices won’t shoot up like they would if oil were expensive. A handful of countries have already realized this. Egypt, India, Indonesia, Malaysia, and Nigeria have all recently made plans to cut or abolish fuel subsidies. Even Saudi Arabia is now considering cutting back. More nations should follow their lead. Phasing out fossil fuel subsidies is one of the most beneficial steps a government can take. Subsidized fuel may seem cheap, but the world’s poor cannot afford it.